Please note there will be no late seating at this performance. Where: The Proscenium Theatre at The Drake located at 302 S. Hicks Street, Philadelphia, PA 19102. A new adaptation of a lost novel by Jack Kerouac, The Haunted Life is a deeply-felt family drama that follows the coming of age story of college student Peter Martin and his relationship with his conservative father. Taking place during America’s last golden summer before entering WWII, it chronicles the cost of war on a small town. Currently all seats have been reserved, however we encourage you to sign up for the waitlist and arrive 15 minutes beforehand. We expect to be able to accommodate those who show up for released seats. Sign up for the waitlist here! 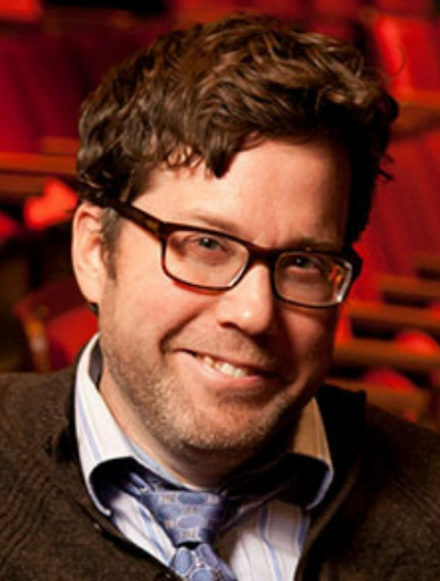 Sean Daniels is the current Artistic Director at Merrimack Repertory Theatre . Before joining MRT, he was the Artist-At-Large at the Geva Theatre Center in Rochester, New York, where he received national attention for the Cohort Club, a program designed to better engage audience members with the work on stage. Sean was named “One of the top fifteen up & coming artists in the U.S., whose work will be transforming America’s stages for decades to come.” and “One Of 7 People Reshaping And Revitalizing The American Musical” by American Theatre Magazine. Sean previously spent four years at the Tony Award-winning Actors Theatre of Louisville as the theater’s Associate Artistic Director (where he directed 17 productions including 5 Humana Festivals). He was also Associate Artistic Director/Resident Director of the California Shakespeare Theater and before that spent a decade as the Artistic Director and Co-Founder of Dad’s Garage Theater Company in Atlanta.